In the photo above, taken in the summer of 1960, a young black man sits at a lunch counter in Arlington, Virginia. Two of his fellow protesters sit behind him, and a group of white men surrounds them. A white child sticks a finger in the man’s face. He smirks. This man is a civil rights activist you probably haven’t heard of. His name is Dion Diamond. 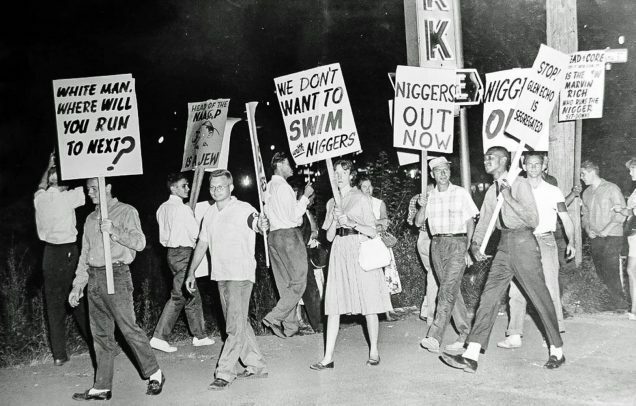 In another 1960 photo, white protesters picket the integration of a Maryland amusement park. At the end of the line, you can see Dion smiling in defiance as he holds a sign of his own. Later, as a student activist at Howard University, he appears unbothered while sitting at a lunch counter in the face of members of the American Nazi Party. 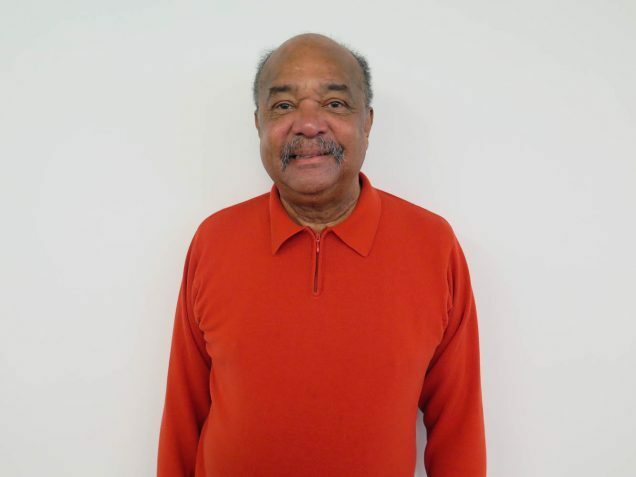 At the age of 76, Dion came to StoryCorps to talk about how he got started. Top photo: Dion Diamond at a sit-in at a “white only” lunch counter in Arlington, VA where a young boy points a finger in his face. Second photo: Dion Diamond smiles as he marches past a group of white protesters at Glen Echo Park in Glen Echo, MD in 1960. 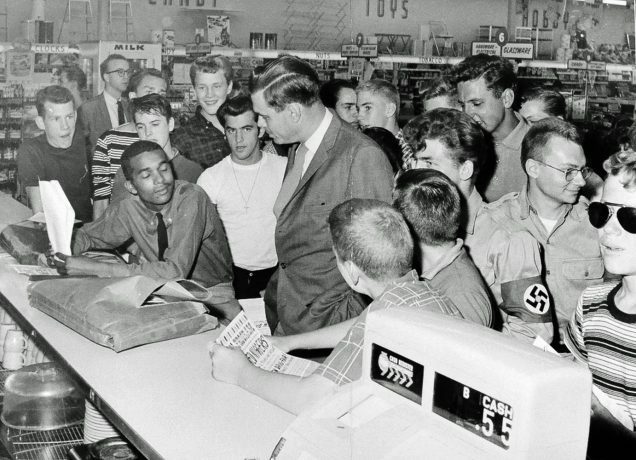 Third photo: George Lincoln Rockwell, the founder of the American Nazi Party, confronts Dion Diamond at a “whites-only” lunch counter in Arlington, VA in 1960. Bottom photo: Dion Diamond at his StoryCorps interview in Washington, D.C. Originally aired January 12, 2018, on NPR’s Morning Edition. DD: I was 15 years of age when I first started having my own private sit-ins. I guess I got tired of looking at signs that said ’whites only’. So, I would go into the five and dime store, sit at the ’whites only’ lunch counter, and whenever the police came, I skirted out of the back door. My family had no idea — the only way they found out was from the newspapers. You know, like a reporter calls home, ’Do you know your son’s in jail?’ and my parents became very proud of me, but they wished it would have been somebody else’s child. I’ve done some crazy things, but you take chances when you’re young. I call it youthful exuberance. I could only hope as he got older, some of his attitudes regarding equality and equal rights changed. I think that was the time I was most frightened, except a couple of the guys in there, they knew, somehow, who I was and they told the guys, ’Don’t mess with him.’ That was my salvation. Today, when people read my name, they may not know who I am, and most likely they won’t. I have three grandkids, they aren’t the least bit interested, but any time I pick up a historical publication, I feel as if a period or a comma in that book is my contribution.